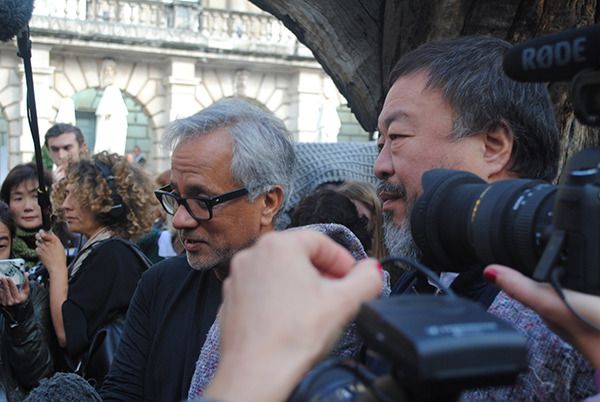 Artlyst has walked the distance with Ai Weiwei and Anish Kapoor today. The artists have joined forces for a walk across London as they strode down London’s Piccadilly at the beginning of an eight-mile journey to show solidarity with refugees around the world. Image: Ai Weiwei and Anish Kapoor set off on their march from the Royal Academy of Arts in London. Photo: P A Black © 2015. The crowds assembled before the pair set off from the Royal Academy of Arts joined by around 100 kindred spirits – including Artlyst – and a large number of journalists that actually managed the distance. 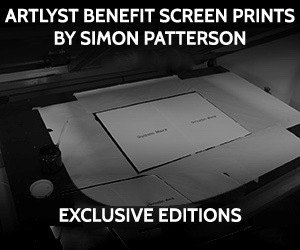 The artists destination was Kapoor’s Orbit Tower in the Olympic park at Stratford. On the walk Artlyst asked Sir Anish Kapoor about his new found friend and collaborator and how the two artists had become friends. 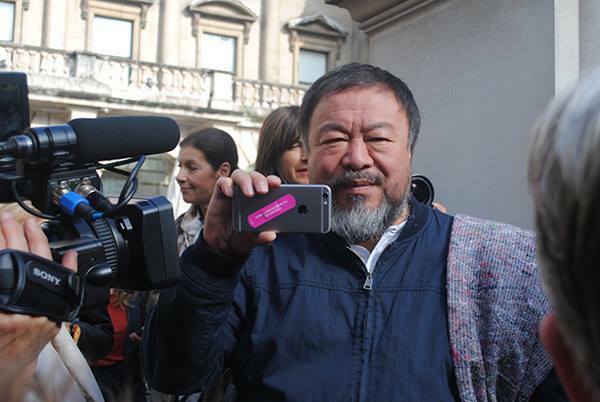 Image: Ai Weiwei was also documenting the occasion. Photo: P A Black © 2015. 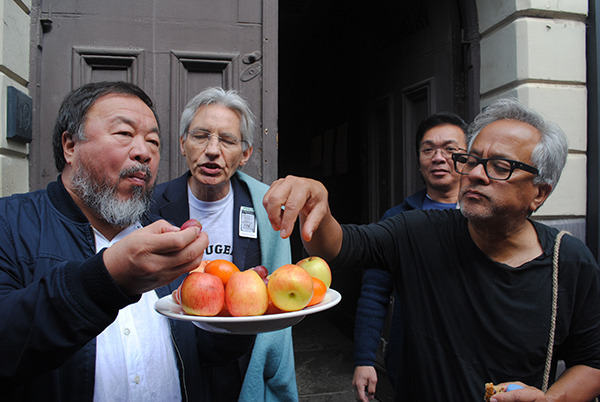 Image: Ai Weiwei and Anish Kapoor hand out refreshments on the journey. Photo: P A Black © 2015. The walk took the artists through Whitehall and St Paul’s, heading east to Brick Lane and Mile End Road culminating at Kapoor’s Orbit Tower in the Olympic park at Stratford, where the weary yet satisfied throng donated their blankets worn as a mark of solidarity with refugees during the current crisis. 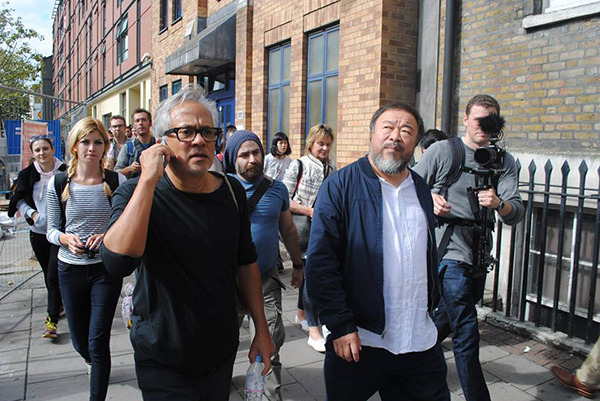 Image: Ai Weiwei and Anish Kapoor cross London in support of refugees. Photo: P A Black © 2015. 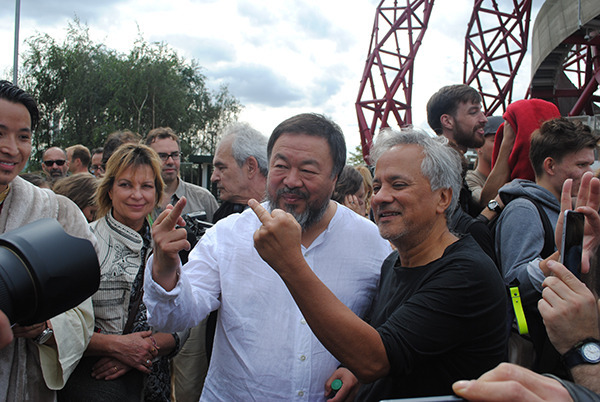 Image: Ai Weiwei and Anish Kapoor: Ai’s ‘signature gesture’ In front of Kapoor’s infamous tower. Photo P A Black © 2015. The pair concluded their walk with Ai’s signature gesture, in this instance in front of Kapoor’s Orbit Tower in the Olympic park.